There are a lot of different opportunities awaiting you during the winter. Apart from walking through the various winter landscapes around the area of the hotel and taking advantage of the activities within the Hotel. If you would like to book your accomodation with us for the pre Christmas period: you will take home unforgettable Salzburg Christmas event memories - e.g the famous Krampus runs, and the wonderful Salzburg Christmas market. 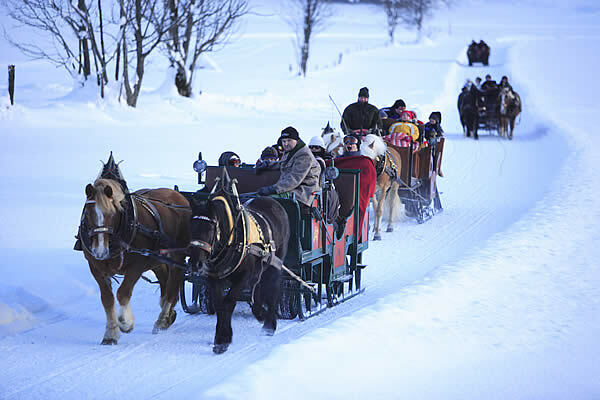 A particularly romantic experience is a horse and sleigh ride through the snowy winter landscape! 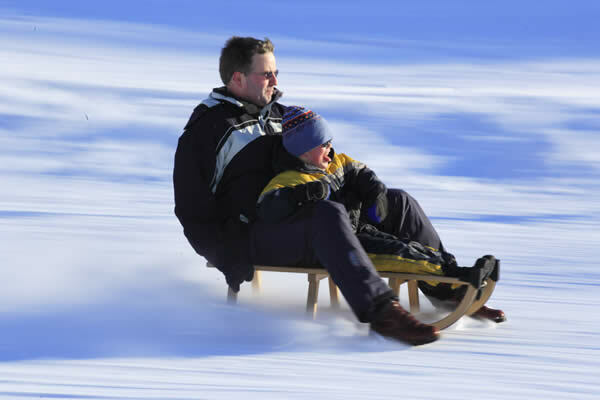 There are super sporting offers availabe for tobogganing, and cross country skiing, as well as ice-skating. Furthermore our hotel is the perfect place to be when planning a visit to many of the great excursion that the area has to offer.